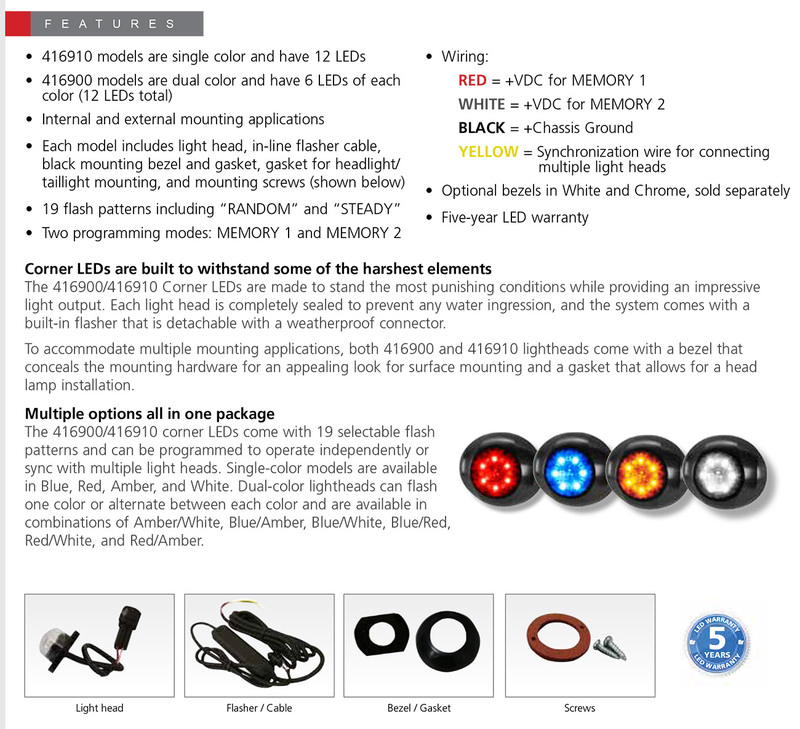 The 416900/416910 Corner LEDs are made to stand the most punishing conditions while providing an impressive light output. Each light head is completely sealed to prevent any water ingression, and the system comes with a built-in flasher that is detachable with a weatherproof connector. To accommodate multiple mounting applications, both 416900 and 416910 lightheads come with a bezel that conceals the mounting hardware for an appealing look for surface mounting and a gasket that allows for a head lamp installation. 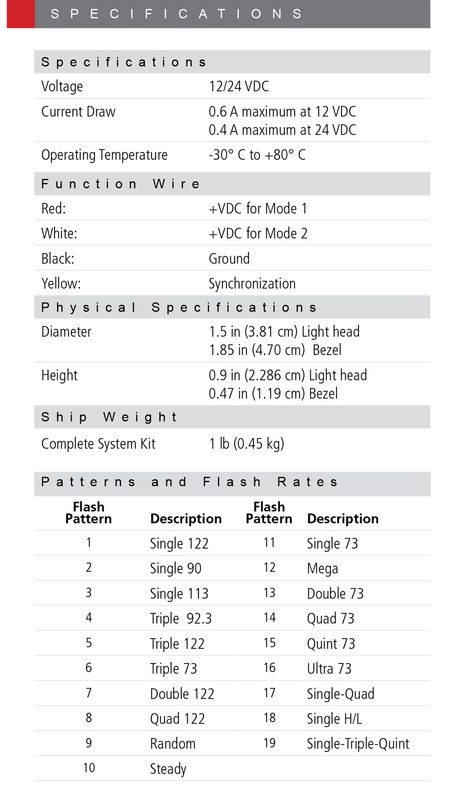 The 416900/416910 corner LEDs come with 19 selectable flash patterns and can be programmed to operate independently or sync with multiple light heads. Single-color models are available in Blue, Red, Amber, and White. Dual-color lightheads can flash one color or alternate between each color and are available in combinations of Amber/White, Blue/Amber, Blue/White, Blue/Red, Red/White, and Red/Amber.